There is an amazingly strong community spirit in Telluride. In 2002, the ski company’s celebrated its 30th anniversary in Telluride, giving locals an opportunity to do a little reminiscing. In many ways, it’s amazing just how little this historic western outpost has changed. 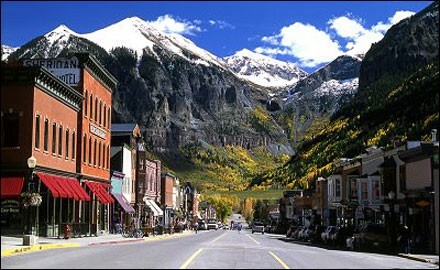 To this day, Telluride has retained the charm for which it’s famous. While a stop at the post office can take over an hour with all the socializing that happens there, skiers and snowboarders rarely wait in lift lines. Cowboys and artists still outnumber bankers and lawyers, and adventurers and entrepreneurs still make up the bulk of the town’s population. In the spirit of traditional small-town-living, the community comes together whenever a resident needs help. Most Telluriders recognize how fortunate they are to be living in one of the truly special places on the planet – and are determined to make every effort to keep it that way. Community structure is strong with great schools, good transportation, and enlightened thinking.